Three men have been charged following a firearms incident in Hailsham. According to the agency, Greg Akehurst, 29, of no fixed address, was charged with possessing a firearm. Kyle Wood, 30, of Gratwicke Drive, Littlehampton, was charged with possessing a firearm and possessing ammunition. 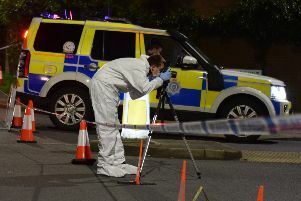 And 63-year-old Mark Kinman, of Bramwell Mews, Hailsham, was also charged with possession of a firearm. They appeared before Brighton Magistrates via video link on Monday afternoon (August 20). They were then all remanded in custody until September 17 when they are due before Kingston Crown Court, said the NCA.